Book rescued from a discard library sale. Rebound in 1/4 calfskin, hand dyed. Hand dyed antique linen cloth sides. 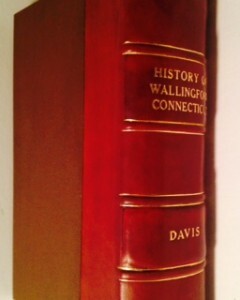 Hand tooled 22k spine.